Add some hot liquid and watch as Mickey appears to delight and wow! This Disney Mickey Mouse 20 oz. 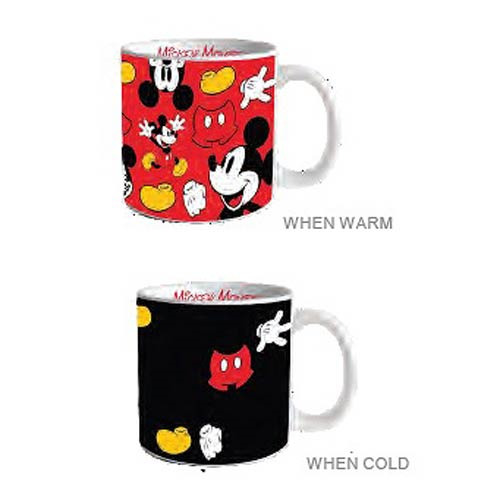 Heat Reactive Ceramic Mug starts off black, showing just Mickey's pants, gloves, and shoes, but when you add hot water, the rest of Mickey Mouse appears! This fun heat reactive mug holds up to 20 ounces of liquid. Measures approximately 4-inches tall. Ages 12 and up.